Anyone who participates in the financial markets is faced with the regular occurrence of managing losing trades. Finding a balance between minimizing risk and also allowing the market enough room to move in your favor can be a tricky situation. Traders are commonly told to "cut losses quickly," but unfortunately that isn't a strategy that is easily applied in the real world - everyone views "quickly" differently. In that light, here are four methods you can consider when looking to exit your next losing trade. Traders shouldn’t arbitrarily decide to cut their losses, because that isn’t a testable strategy; instead, they should have a plan to manage their risk. Outline how much money you are willing to risk before placing a trade, and how you will bail out of a trade if it turns sour, so you know exactly when to cut your losses. A stop loss is an order placed with your broker to get you out of a losing trade if the stock hits a certain price level. The stop level should be at a price that keeps your loss manageable—based on account size and risk tolerance—but is also at a level that lets you know you were wrong about your expectations for the stock. Stop losses are appealing not only because they manage risk, but because they also allow traders to make risk/reward assessments on their trades. If you are willing to risk up to $100, but expect to make $300 if your expectations materialize (and both possibilities are equally likely), that is a good risk/reward trade off (See also 3 Ways to Exit a Profitable Trade). All charts created with FreeStockCharts.com. Assume you entered a long position in Apple stock after seeing a bottoming pattern and then a strong run higher. You enter on a price pullback, and place a stop loss below a recent swing low. As long as the price makes overall progress higher—higher highs and higher lows—your stop loss isn’t in danger of being hit. But if the price reverts to a downtrend, your risk is managed. 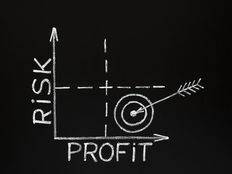 Stop losses are placed at a specific price level in your trading platform, or with your broker, when you enter a trade. The draw-back to stop losses is that the price may hit your stop loss only to continue moving in the direction you expected. Also, a stop loss does not guarantee that will you will be able to get out at the price specified by the stop loss order. If there is no liquidity, the stop loss will fill at the next available price. In volatile conditions, you may take a larger loss than expected even with a stop loss. Despite these drawbacks, having a capital safeguard in place is better than no safeguard. A trailing stop moves as the stock moves in your favor. If you set a trailing stop on a long position, and the stock price rises, the trailing stop will also rise to reduce risk or lock in a profit. During strong trends, the trailing stop allows you to capture large gains, all while controlling risk. There are different types of trailing stops. The simplest is the manual trailing stop. This is where you progressively move your stop level based on recent price action. Figure 2 revisits the trade scenario from Figure 1, and utilizes a manual trailing stop to lock in a profit as the price rises. The trade is eventually stopped out when the price reaches the trailing stop level. Many of today’s trading platforms also allow you to enter an automatic trailing stop. Assume you enter a stock at $50, and place a stop loss at $49 ($1 difference). If you set this as a tailing stop, the stop will always stay $1 behind the most recent high price since your purchase. If the stock price goes to $52, your stop will move to $51. If the price goes to $55, your stop will go to $54. It only moves higher (for long positions), so if the price drops to $54 after reaching $55, your trailing stop will get you out of the trade at $54. The drawbacks of trailing stops are the same as traditional stop loss orders. Trades are often predicated on a stock’s historical price action. Whether it is a trend or a sharp move higher, price support can be used to exit a losing trade (in a downtrend, use resistance). During an uptrend, if price breaks a support it indicates the trend may be in trouble, and therefore, many traders use a breach of support to exit a long trade. Support can be either horizontal—such as a price area that has caused the price to bounce off of it on several occasions—or it can be diagonal, such as a trendline. If you are long and the price is holding above a support level—a price level where buyers have stepped in with regularity—it confirms your trade. If the price breaks below support, those buyers are no longer eager to buy the stock, and this warns of further price declines. Therefore, when support breaks, many traders will exit in an effort to cut their losses. For more than a year, the price area between $183 and $181.50 held as support, with no significant breaks below it. In October 2013, the price closed significantly below it. This could have been used as an exit to cut the loss on a long position. The problem with support areas/levels is that they can change. The price might bounce off $184 one time and $183 the next. Therefore, use areas, and preferably closing prices to help isolate support breaches. Many traders use indicators to get into positions, so it follows that they can also be used to get out. When an indicator you use provides a sell signal, it may be time to get out of that losing trade, as further price declines could be developing. Figure 4 shows a popular indicator called the MACD. When it is above zero it helps confirm an uptrend, and if it drops below zero a downtrend may be developing. Many seasoned traders tend to combine indicator sell signals with other evidence provided by price movements to cut losses. The one downside of indicators is that they just tell you when to get in and out; they don’t control the precise amount of money you have at risk, like a stop loss or trailing stop does. You could experience a much larger loss than desired before an indicator gives you the signal to get out. 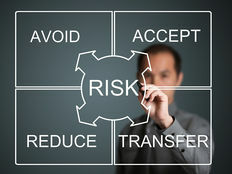 Therefore, combine indicators with the other exit methods to control risk and get out when the tides turn against you. All of the methods highlighted above can be used in conjunction with one another to exit losing trades. For example, place trailing stops at new support levels as they form. Indicators can also be used to compile evidence about your trade. Stop loss levels and trailing stop levels can be aligned with indicators so the stop loss is triggered when the indicator is about to provide a sell signal. It is important to control risk, not only for peace of mind and trading longevity, but also to calculate risk/reward scenarios. 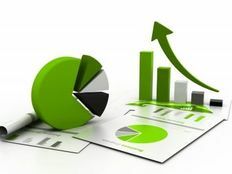 The same tools and methods profiled here can be used to control risk on short positions as well.